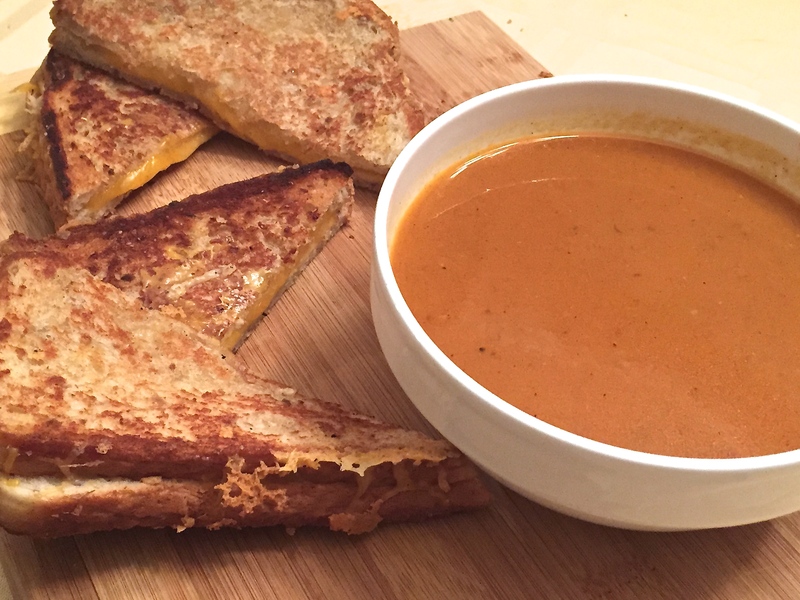 A crispy golden brown melty cheese sandwich is just what you need to dunk in this simple velvety tomato soup. This is my go-to tomato soup recipe that’s easy to prepare with just a few ingredients from your pantry. Together, this is a dinner combination that is irresistible. Melt the butter over medium heat in a heavy bottomed soup pot. Add the rosemary, crushed red peppers and garlic. Sauté for a minute. Squeeze 3 tbsp of tomato paste, and add the chopped onions. Mix well until the tomato paste is dissolved fully and coats all the onions. Saute for 5-7 minutes, until the onions soften and the tomato paste starts caramelizing. Add the chopped tomatoes and salt. Continue to cook for 5 minutes. Pour in the veggie stock. Cover and simmer over low heat for 20-25 minutes. 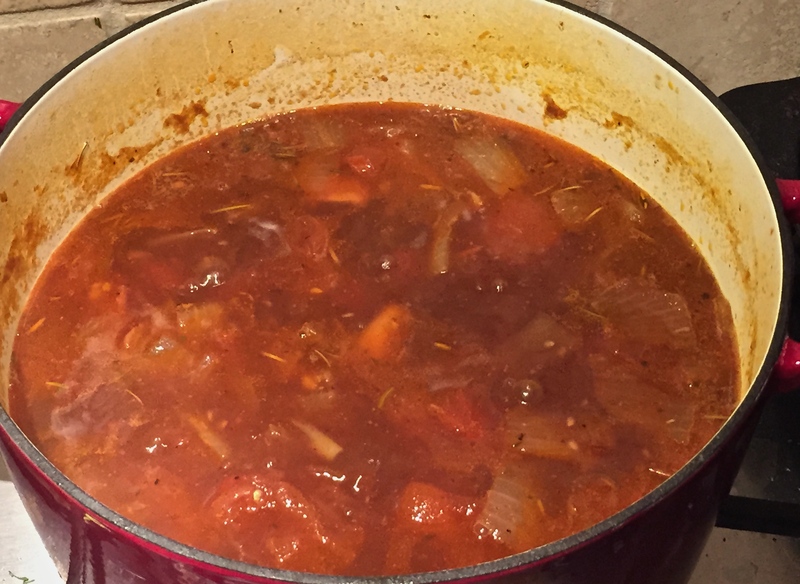 The liquid will reduce, and the tomato mixture will turn into a velvety deep rich broth. Using a hand blender, puree the tomato broth thoroughly. Stir in the milk and turn off heat. 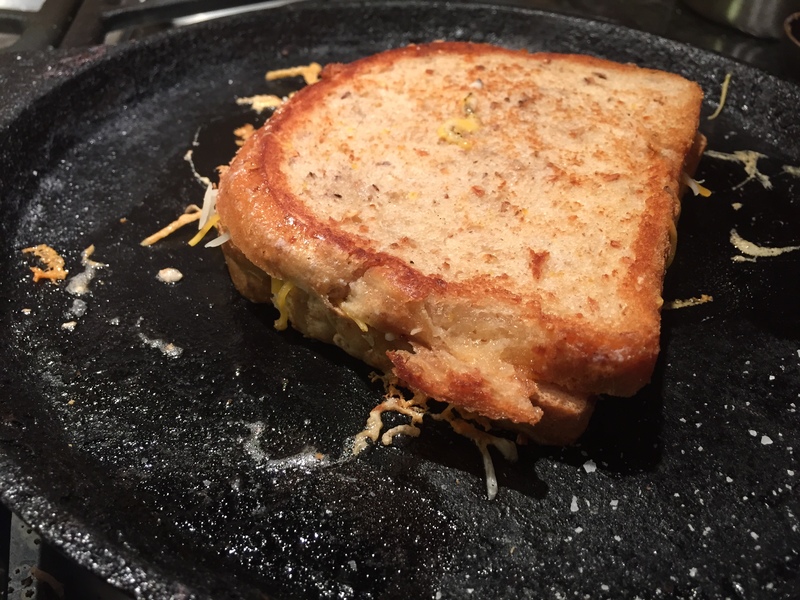 Cast iron pan is ideal for making perfectly crispy sandwiches. Something about the even distribution of heat. If you don’t have one, a regular non stick is fine, but be sure to keep it on low heat, bread can burn easily. 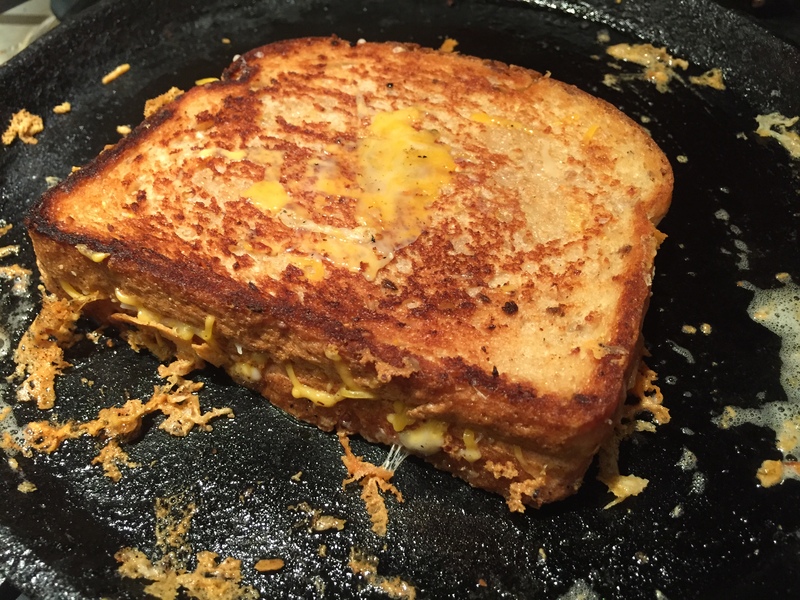 In the mean while, spread butter liberally on one side of bread. Place the buttered side down on the pan. evenly spread the cheese mixture over the top. Let this side crisp for 1-2 minutes. Spread butter on a second slice of bread. 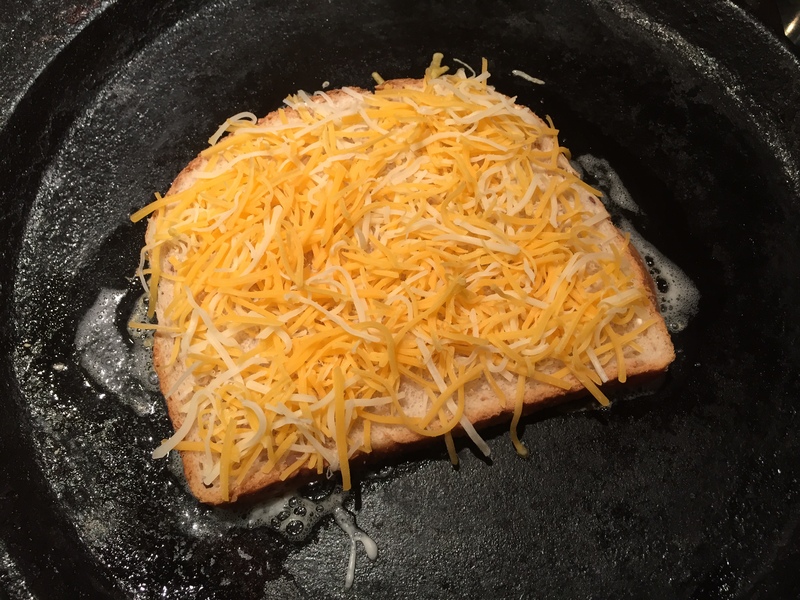 Place the un-buttered side down over the cheese. Now use a spatula and gently lift the bread to check if it starts to brown. Carefully turn over the sandwich so the other butter side is now down over heat. Cook for another 1-2 minutes. Press down gently and check if this side is browned as well. Turn over again for a mother minute on both sides until they are browned, crispy and the cheese inside is molten. Remove from heat and place over paper towels to rest for a minute. Make the remaining sandwiches. Cut into half diagonally and serve with a hot bowl of tomato soup.